The second WTC janitor has come forward with eye-witness testimony of a 'bomb-like' explosion in New York's World Trade Center North Tower basement on September 11, 2001. Explosians in the basement ?? 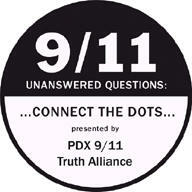 this link covers the whole 911 event. it has pictures and is full of good information on the suspicious lies that were given as excuses. A radiation expert and high-ranking Army Major, who once headed the military’s depleted uranium project, both contend the Pentagon was hit by missile, not a commercial jetliner, adding high radiation readings after the strike indicate depleted uranium also may have been used. “I’m not an explosives or crash site expert, but I am highly knowledgeable in causes and effects related to nuclear radiation contamination. What happened at the Pentagon is highly suspicious, leading me to believe a missile with a depleted uranium warhead may have been used,” said radiation expert Leuren Moret in a telephone conversation this week from her Berkeley, CA home.